Need no introduction to this Vacuum Cleaner. 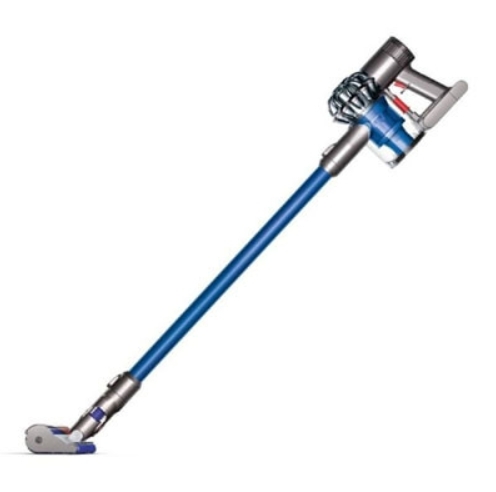 We are giving away 1 Set of Dyson V6 Fluffy (DC74-HEPA FILTER) Cordless Vacuum Cleaner. We will give this out by the end of 23 Dec 2017. Valid for Fans residing in Singapore only. Well equipped with Dyson-engineered cleaner heads, the V6 fluffy cordless vacuum cleaner is designed to clean every room in your home. An easy to use push button provided 6 minutes of higher suction for more difficult tasks, such as pet hairs on carpets, between floor boards and onn upholstery. Dyson’s most powerful cordless vaccum boasts a digitally controlled motor which spins at up to 110,000 rpm, generating optimum suction for the best performance. With this specially designed tool, large debris and fine dust can be removed simultaneously, making it perfect for hard floors around your home. Soft woven nylon with rows of anti-static carbon fiber filaments provide full-width coverage. Designed to store and charge the machine, this accessory also holds additional attachments – this way your machine is always ready go when you are.